E-Commerce Is Destroying Retail, But Here's How Tampines Shop Owners Are Fighting Back! E-commerce has become a key aspect of the shopping scene in Singapore, with the majority of us using them for both the basic necessities and decadent indulgences. However, brick-and-mortar retail stores have been facing intense competition from the e-commerce industry as a result. Earlier this year, we covered that some better-known retail stores – like New Look, Celio, Parco and M)phosis, had to shut down due to more consumers turning towards e-commerce to get their items. Furthermore, in early April, we also covered the shutting down of Al-Futtaim Group’s stores – M&S And Royal Sporting House. In bid to turn the tides, Singapore’s heartland shops have decided to take a stand against the e-commerce industry! 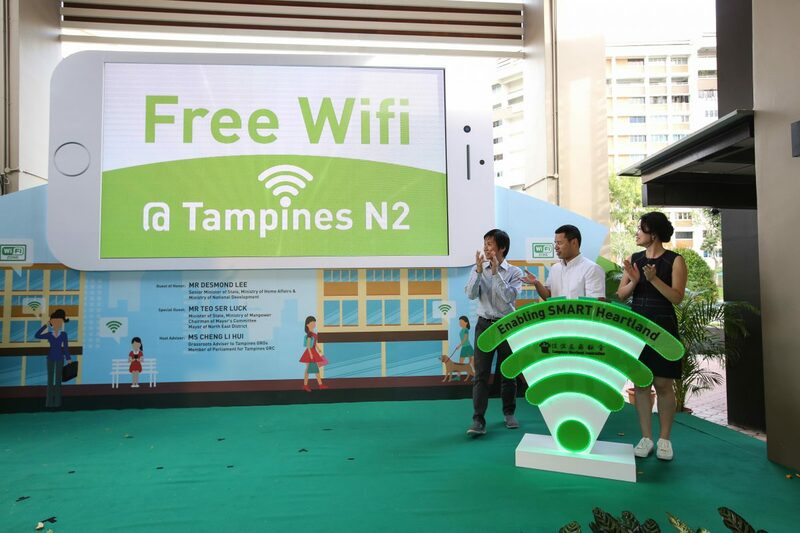 The Straits Times revealed on 3 December that Tampines HDB shops have launched a free WiFi zone at Tampines Street 21, and the credit of the idea goes entirely to the Tampines Merchant Association (TMA). The question now is how exactly the free WiFi zone will help offline business owners. Thus, we got in touch with a TMA official, Mr. Kwek, to find out more. As mentioned in The Straits Times, “the move is part of an ongoing push to level the playing field with e-commerce and shopping malls”. Offline stores usually market themselves through word of mouth. For instance, if an individual purchases a product from one of these stores and likes it, they might recommend the store to others. However, it doesn’t always work out in the shop’s favour as they may not be well known. And prior to the launch of free WiFi, they may have also lacked the expertise to do proper marketing of their brand. Technology will never get old, which just means that businesses will have to move along with the tides, and embrace the changing consumer demands. If they do, the Internet will become a powerful tool with which they can reach out to more consumers. 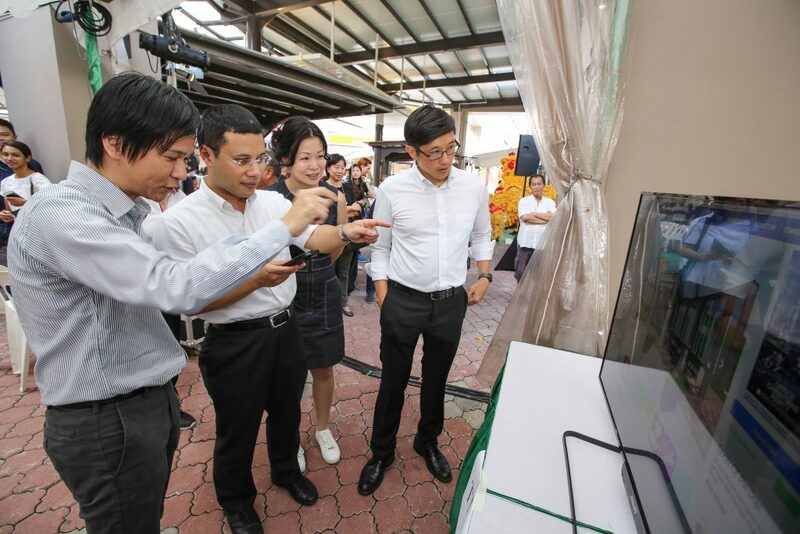 Mr. Kwek also revealed that they have had a string of meetings and discussions with various stakeholders, eventually distinguishing that “local businesses are facing challenges [due to] the coordinated services provided by shopping malls and the sprout of e-commerce businesses with big players”. Heartland shops also lack the benefits of scale and financial prowess that shopping malls and e-commerce businesses have. In response, he commented that “the government is encouraging experimentation and building, and working with people and companies to co-create solutions, [thus] we could also play a part in using technology to enhance the shopping experience in heartland”. He further revealed that after thorough research and feedback, TMA felt that it was necessary to take action for the fear of heartland businesses losing out to e-commerce platforms. TMA’s ability to integrate the use of WiFi with local heartland businesses is thus likely to bring about major changes in their day-to-day operations. A few Tampines heartland business owners spoke to The Straits Times about their personal experience of using the free WiFi, and how it has, and can prove to be beneficial to their businesses. A shop assistant at a clothes shop, Ms Chen Xia Qin commented that she had already been using it and that “customers can also easily WhatsApp photos of the clothes here to their friends before deciding whether to buy”. Madam Zainab Mat Raby, 51, who owns a Muslim apparel shop, added that since her suppliers were from Malaysia, having free WiFi will make it easier for her to communicate with them. 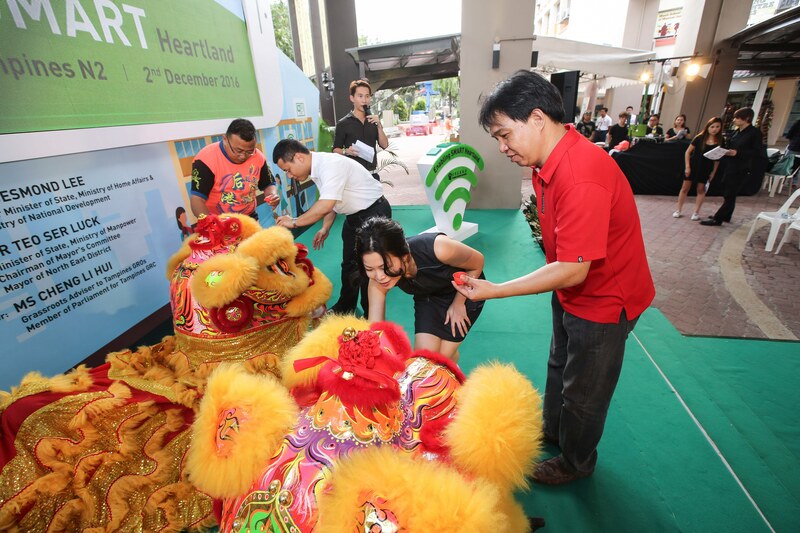 Seeing how effective the free WiFi zone has already proven to be, with even shoppers showing their support, TMA revealed its expectations and future plans for the heartland retailers. Mr. Kwek hopes that the new initiative will not only helps business owners, but also provide locals with an easy access to heartland attractions. “This free WiFi service deployment hopes to increase foot fall and attracts new customers to heartland retails,” he said. “Coupled with a town portal, residents shall be able to search for information on eating places, 24-hour clinics, plumber and locksmith services, job portals and public info on environment and security. TMA also aims to promote continuous “friendly relationships, goodwill, mutual help and common welfare among merchants“. 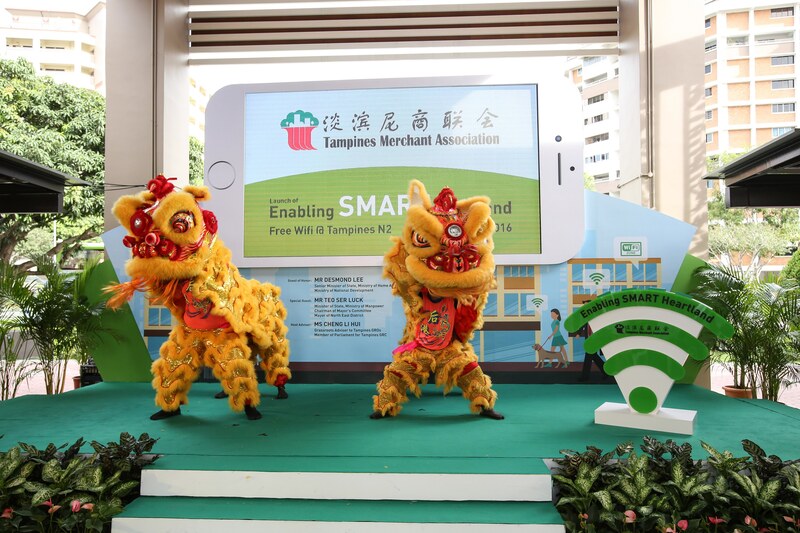 TMA is generally very optimistic about the launch, and further “encourages merchants to take up grants to embark on e-commerce and bring in other technologies”. They are also looking forward “to having a virtual heartland retail and welcome partnership in businesses to propose solutions“. The free WiFi zone seems to be doing wonders for its heartland shops, and we honestly can’t wait to see other estates adopt it too!